First Class Date: Each Tuesday, March 12, 2019 through May 7, 2019. The required FCC Exam will be given on the last session in May. Cost: ARRL License Manual $30.00 + FCC Exam Fee $15.00 + Class Material $5.00 = $50.00. We prefer cash or checks at the first class since PayPal charges us transaction fees. For additional information contact Rich at (703) 969-6615 or ka4gfy@arrl.net. Rich is assisted by a cadre of instructors who were electronic and communications specialists in local industry and/or military training centers. All are Extra Class licensees and several have commercial FCC licenses. The FCC License Class Syllabus covers 400 question topics from which 35 pool questions make up the license exam. Classes incorporate ARRL PowerPoint Topics & Film Clips portraying the historical evolution of radio communications. License practice exam questions are available on the Internet. Learning International Morse Code is no longer an FCC license requirement, but is highly encouraged. ALL ARE UP AND RUNNING – HAM IT UP! Get on the air! SPECIAL NOTE: DMR IS UP AND RUNNING 442.4125 +5Mhz Color Code 1.PLEASE USE OUR REPEATERS. Our meeting is held on the 2nd Friday of each month at the Alexandria Police Dispatch Center at 3600-Wheeler Ave. Just off Duke Street just east of Quaker Lane. Meeting starts at 7PM and ends at 9PM. The next meeting is April 12th. Many of our members have dinner at Atlantis Restaurant in the Bradlee Shopping Center on the south side of Rt 7 just east of 395 most arrive around 5:30. Our program presenters are invited to join us. The March meeting featured Gordon, from the Sterling Park Amateur Radio Club. SPARC sponsors the Virginia QSO party and Gordon gave us a good run down on last years statistics and what to expect this year. While this is an annual event, The program gets us ready for a really fun contest. If you participated, don’t forget to send in your logs and don’t forget to fill in the CLUB AFFILIATION. One highlight of the business portion of the meeting was the appointment of Don, KI4D as the 2019 Field Day chairman. Don and Jack have been talking to the Vienna Wireless Association club looking for ideas on how to make our field day better. One issue is having 60 club members and getting everyone some radio time during the 24 hours of field day. 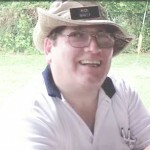 Don is working hard to organize this years Field Day and will hold a meeting on April 10th. Look forward to hearing the results at our next meeting. accident in order to test emergency response plans. The Federal Aviation Administration (FAA) mandates that airports conduct an exercise every three years. Arlington County, Virginia Amateur Radio Emergency Service (ARES) has been requested to provide communications support during the exercise to track mock victims as they are triaged and transported to area hospitals. PARC members should contact ARES Emergency Coordinator (EC) Gary Sessums at kc5qcn@arrl.net to volunteer in providing amateur radio support during the exercise. 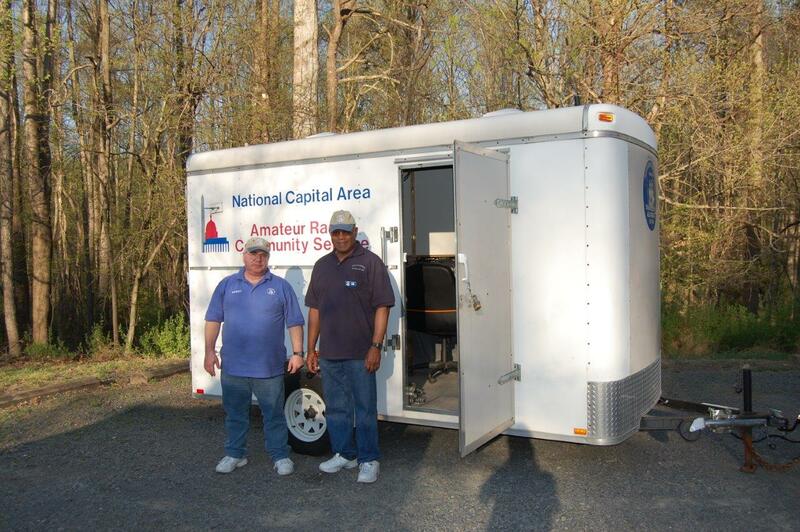 Early call for 20 Amateur Radio Volunteers to provide Public Service support to this growing annual event in the northern Virginia region. This call-out is going to Fairfax County Amateur Radio Emergency Service and Vienna Wireless Society members. A wider call-out may be required. At least 1 Volunteer at each remote location should have a dual band 70cm/2m mobile radio able to provide at least 20w output. Using this radio in cross-band repeat mode and using an HT as your PTT device is acceptable as long as you are choosing frequencies that do not interfere with ongoing amateur activity. Cross-band mode should require low power setting between your HT and the rig and High power out put to the primary frequency in use. More detail to follow. Assignments will range from Amateur Radio support on 2 or 3 Rest Stop logistics trucks, 4 to 6 SAG vehicles (ADA to provide vehicles and drivers – HAMs will simple bring a rig and join the driver), 4 Net Control assignments to include an operator, a logger and someone manning a cell phone for emergency communications support as well as a swing assignment. It’s not too early to start thinking about Hamvention. There is a group of Alexandria Radio Club members who make the pilgrimage every year to the largest hamfest in the US. This year’s Hamvention takes place on May 17 through May 19, 2019 at the Greene County Fairgrounds and Convention Center in Xenia, OH. We have been traveling out on Wednesday before Hamvention to take in the US Air Force Museum or some of the other museums and some pre-Hamvention activities in the Dayton area on Thursday. I have 4 rooms reserved in Fairborn, OH. The cost works out to be about $110 per person per night for the hotel, about $40 for gas, $22 for the ticket, around $100 for food and add whatever you bring home from Hamvention. If you are interested in going, please let me know before April 15 so I can order tickets. There are many reasons people go to Hamvention. The manufacturers often bring out new equipment at Hamvention. The flea market is amazing. There are first class forums on all kinds of ham radio topics. It has been said, “If you can’t find it at Hamvention, you probably don’t need it.” All kinds of ham radio related items in one place. Community Center on Saturday, June 15. It’s mostly indoors, so rain won’t be a problem this year. Hard to believe we are coming up on the halfway point for the current class. It looks like there will be several new licensees joining us on the air in May. May 4 and 5 – 7th Call Area QSO Party. Exchange is RST and state. Don’t forget, be sure to send in your log within 7 days after the contest ends for all ARRL sponsored contests and be sure Alexandria Radio Club is in the club affiliation box. REMEMBER to support the CLUB’S score for contests by providing Ian, N8IK, your info (Name, Call sign and Grid Square location) and submit your scores for the contests you play in. Contesting is one way we show that we are using our frequency allocations. The new duplexer for the DMR repeater has been installed and early reports are very favorable. We now have the mobile duplexer available for another project. So, I was thinking about locating a low power, portable repeater to put in the trailer for the Shared Non- Protected pair we could use at public service events like the GW Birthday Parade, field day, etc. The low audio issue on the 220 repeater has been repaired and the repeater now sounds great. N8IK and KV3W measured the run between the repeater cabinet and the antenna mast at the hospital site to run CAT 5 cable for the soon to be on the air ARDEN data repeater. We will let everybody know when that is on the air. Monday Night Burgers – There is a group that gets together at 6:15 PM on Mondays at a local burger joint. Mark up on the 147.315 repeater and join them for the fun. Mark up on the repeater about 6PM and join the group. The location does change! IF you have a good spot, you might suggest it to the group. This is a short update on progress of HR#1301, the Amateur Radio Parity Act in the House. The House Bill is attached. Over the last couple of days, the bill markup received passage on a voice vote in the Committee on Energy and Commerce Subcommittee on Communications and Technology. This weekend the at the ARRL National Convention, February 12-14, at the Orlando HamCation, ARRL representatives will be on hand to help visitors to generate letters of support to members of Congress. You are invited to Amateur Radio Roundtable, a new series of W5KUB.com live weekly webcasts. The webcast is every Tuesday night at 9:00 PM EDST (0200 UTC Wednesdays) at W5KUB.COM. To watch click on Live Events and sign in with your existing User Name and Password. Amateur Radio Roundtable is an informal discussion of all aspects of ham radio with the intent of allowing viewers to watch this live webcast or be a guest via Skype or Google Hangout. A question and answer session with viewers will follow each topic. The show covers all aspects of ham radio; such as, balloon launches, Satellite, go-kits, emergency communications, SDR, digital modes, DXing, home brewing, and much more. This week’s guests include Arnie Shatz, N6HC, a team member of many great DExpeditions; Eric William discussing SRD; and Franc Dunatov, ZL1SLO, discussing Special Event operations from New Zealand. Lots of activation possibilities in this area. All – this is a critical time for survival of hopes that amateur radio will have the same rights and privileges as, or parity with, commercial radio interests regarding antenna installations in communities across the U.S. ARRL President Kay Craigie, N3KN, has issued an urgent call for League Members to contact Senate Committee on Commerce, Science, and Transportation members representing their states to urge their support of S. 1685, the US Senate version of the Amateur Radio Parity Act of 2015. Action on this legislation in the Senate is scheduled this week. Neither Virginia Senator Warner or Senator Kaine is on the Senate Committee on Commerce, Science, and Transportation, however, they could be persuaded to be a co-sponsor S. 1685 as is Senator Al Franken of Minnesota, who is also not a member of the Committee. 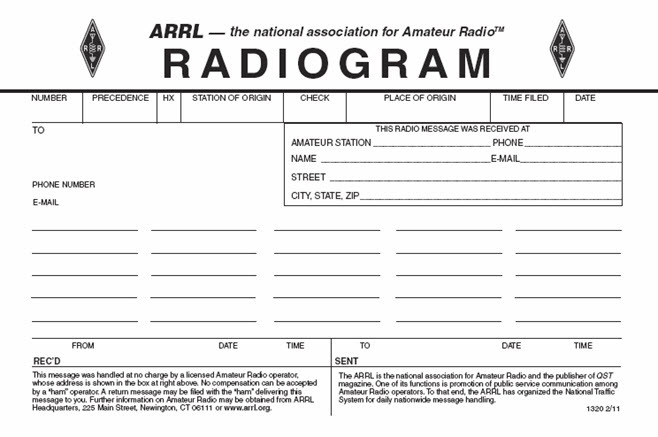 See link below for ARRL details. If the legislation becomes law, radio amateurs living in antenna-restricted communities would have the opportunity to negotiate with homeowners associations to install antennas that reasonably accommodate Amateur Radio communication. Be sure to copy and submit the practice emergency message each week.